Take Advantage of Lower Prices by Buying. Inflation is a concern for everyone, but what about deflation? Deflation is what the entire collectibles industry, be it coins or other collectibles, has been experiencing for several years. What we in coin collecting have bee is a dip in the spot price of gold or silver. This relentless price decline has impacted almost all coins, not just the more common collectibles. 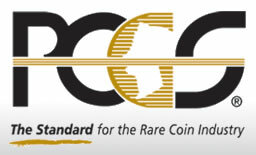 Scarce to rare coins have not performed well in some time. As the price of both gold and silver continue to slump, it becomes increasingly difficult for those of us who are active collectors or commodity investors to understand why more people aren’t realizing just how cheap both bullion and coins have become. This low price is becoming a boon to active collectors, some of whom are increasingly taking advantage of the depressed price of better date or better condition coins. There aren’t sufficient collectors chasing these coins for the demand to outstrip supply – at the moment. At some point, people need to take stock and bond profits off the table, going after coins and other collectibles with their financial gains. In the meantime, if you are an active collector, enjoy what’s available. You can shop around. You can be picky. But then make a decision and buy what you have hankered after. The only way you can benefit from lower prices is to make additions to your collection.